In its latest data release, the Toronto Real Estate Board stated that the average selling price for condominium apartments went up by 17.9% on a year-over-year basis in the fourth quarter of 2017, up to $515,816. “While this annual rate of growth was down from earlier in 2017, the condominium apartment segment was still the leader in terms of price growth in the second half of the year,” TREB said in its release. 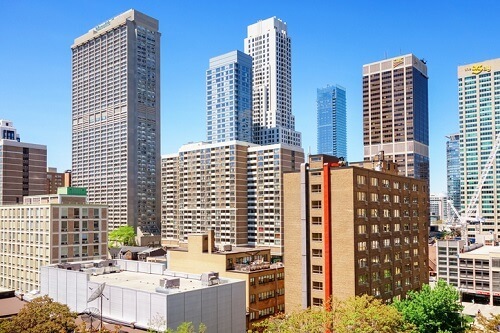 TREB president Tim Syrianos also announced that brokers in the Greater Toronto Area reported 5,773 condominium apartment sales through the Board’s MLS® System in that same quarter. This volume was down by 15.4% compared to the last three months of 2016. Meanwhile, new condominium apartment listings increased by 9.8%, up to 8,186. And while sales declined noticeably relative to listings, market conditions still remained tight with a sales-to-new listings ratio of 70%. “Demand for condominium apartments remained strong relative to listings in the fourth quarter. Even with the uptick in listings, which was certainly welcome, there was enough competition between buyers to prompt double-digit annual rates of price growth. This points to the fact that we still do have a supply problem in the GTA that needs to be addressed to ensure the long term sustainability of the marketplace,” Syrianos explained. “Seller’s market conditions remained in place for the condominium apartment market segment in the fourth quarter. Based on price point, this housing type remains top of mind for many first-time buyers. In addition, as home prices have grown year-over-year some buyers who initially may have considered the purchase of a low-rise home have chosen to purchase a condo apartment as well,” TREB director of market analysis Jason Mercer said.